Assyria was a world empire. Its capital city was Nineveh, located in the same area as northern Iraq. The ruins of Nineveh can still be seen today across the Tigris River from the modern day city of Mosul. In 734 BC Assyria conquered Syria and then turned southward into northern Israel. Assyria took captives from both Syria and Israel. Assyria invaded Israel a second time in 701 BC. This time the Assyrian army made it all the way into southern Israel just outside the city limits of Jerusalem. Two Assyrian kings led these invasions. The first invasion in 734 BC went into Syria and northern Israel and was led by the Assyrian King Tiglath-pileser. The second invasion in 701 BC went into southern Israel and was led by the Assyrian King Sennacherib. In Bible prophecy these two kings are often referred to as “the Assyrian”. The Assyrian is also a term that applies to the Antichrist because he will do the same things that the original Assyrian kings did. God used the Assyrian to judge the disobedient nation of Israel. God will again call on a northern invader to judge Israel. Isaiah chapter 10 predicts the wickedness of the ancient Israeli leadership, the overthrow of the nation of Israel by the Assyrian King Sennacherib and finally God’s restoration of Israel. But there is a catch! Immediately after the Assyrian invades Israel in Isaiah chapter 10 we are introduced to the Messiah on earth! That is to say, Jesus Christ sets up his everlasting throne in Jerusalem. In other words this passage also predicts a future event. The Assyrian will once again invade Israel, and then Jesus Christ will come back to earth to defeat the Assyrian and to rule forever! OK now listen up; the future invader of Israel called the Assyrian in Isaiah 10 is the same person that is commonly known as the Antichrist! The Antichrist will persecute Israel during the coming seven year Tribulation period just as the Assyrian persecuted Israel long ago. But wait there is more! 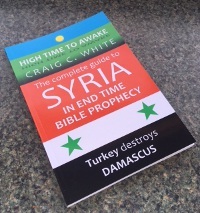 I think that Ezekiel chapter 38 and 39 tell us that the primary ruler of Turkey will lead an invasion into Israel in the end time just like Assyria did long ago. 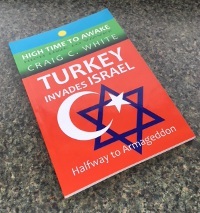 As a matter of fact, I think that Ezekiel predicts two separate invasions, both led by the primary ruler of Turkey. Also like the Assyrian invasions of old, the future invasions of Israel will happen in two similar but separate battles. So the Assyrian is the Antichrist! Also the Assyrian is the primary leader of Turkey! 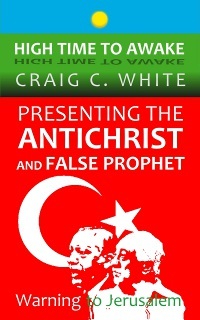 Therefore the primary leader of Turkey is the Antichrist! Is this too much for you? Today the prime minister of Turkey is Recep Tayyip Erdogan. He hates Israel! Today the Turkish army is on the Syrian border. If Prime Minister Erdogan leads turkey into Syria and then turns south into Israel then this scenario has begun! God called the future invader of Israel the Assyrian because he will persecute Israel in much the same way as the Assyrian kings did in 734 BC and again in 701 BC. Remember that there were two separate Assyrian kings that led two separate invasions into Israel. There may very well also be two separate Turkish leaders who will lead two separate invasions into Israel in the future! The Turkish leader who leads the second invasion is the Antichrist! What I am saying is that Turkish Prime Minister Recep Tayyip Erdogan may in fact be the Antichrist or there may be another Turkish prime minister following him that will certainly be the Antichrist! The ancient Assyrian invasions may give us a clue to future events. There may be two end time Assyrians or there may only be one. We will know as events unfold. Here is one reason why I think that there may be two different primary rulers of Turkey. Like I said before Ezekiel 38 predicts one future battle and Ezekiel 39 predicts another similar battle. I think that the battle described in Ezekiel 38 will be led by the prime minister of Turkey and may begin shortly. In this case Turkish Prime Minister Erdogan would fulfill the role of the Assyrian. In Ezekiel 38 he is also known as Magog. The battle that is described in Ezekiel 39 will also be led by the prime minister of Turkey and is the same as the battle of Armageddon (Rev 16:12 – 21 and Rev 19:17-18). 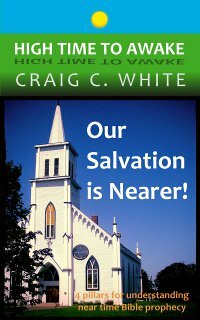 The battle of Armageddon happens at the end of the seven year Tribulation period. Turkish Prime Minister Erdogan may again fulfill the role of the Assyrian during the battle of Armageddon or there may be another prime minister of Turkey in his place. 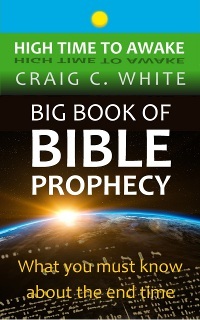 In Ezekiel 38 God asks “Are you the person that I have predicted would attack Israel?” So God is asking us the question. In Ezekiel 39 God tells us that “Yes this is the attack that I predicted!” So God affirms that this is the battle of the end time. Remember that Ezekiel chapter 39 describes another similar but latter battle than does Ezekiel chapter 38. Ezekiel 39:8 Behold, it is come, and it is done, saith the Lord GOD; this is the day whereof I have spoken. Now just so that we all have a better understanding of who the Assyrian is in Bible prophecy let’s look at Isaiah chapter 10. Remember that these verses apply to an ancient Assyrian invasion into Israel as well as another still future invasion. It is important to note that these verses apply to the Assyrian invasion of 701 BC led by the Assyrian king named Sennacherib. These verses also apply to the battle of Armageddon which happens at the end of the seven year Tribulation period. Both of these battles are the second battle of their day that is led by the Assyrian. Isaiah 10:1 Woe unto them that decree unrighteous decrees, and that write grievousness which they have prescribed;2To turn aside the needy from judgment, and to take away the right from the poor of my people, that widows may be their prey, and that they may rob the fatherless! The verses above describe the Israeli leadership of the day. In the future a wicked Israeli leader will come to power. He is called “The Idol Shepherd” in Zechariah 11:16-17. I know that most people think that the Idol shepherd is the same as the Antichrist but he isn’t. The Idol shepherd will be an Israeli leader who will not take care of his people. 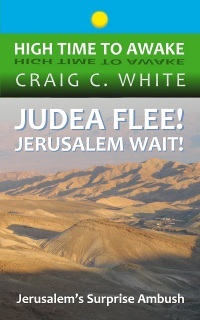 Read my commentary titled “Woe to the Idol Shepherd” in my eBook “Israel’s Beacon of Hope”. Isaiah 10:3 And what will ye do in the day of visitation, and in the desolation which shall come from far? to whom will ye flee for help? and where will ye leave your glory? The wicked leadership of Israel will be overrun by the armies of its enemies. 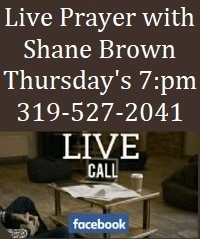 They have despised God’s authority and will have nowhere to turn during the time of their terrible distress. Just a note: there will be several secondary idol shepherds ruling in Israel during the Tribulation (Eze 34:2-8). Please read my commentary titled “Who is a Shepherd” in my eBook “Israel’s Beacon of Hope”. Isaiah 10:4 Without me they shall bow down under the prisoners, and they shall fall under the slain. For all this his anger is not turned away, but his hand is stretched out still. 5O Assyrian, the rod of mine anger, and the staff in their hand is mine indignation. Israel’s rulers will be killed in the invasion. Notice that prisoners will also be taken. Israel will hope that the invasion will fall short but the armies of Israel’s enemies will persist. God will again use the Assyrian as a tool to judge the nation of Israel. Isaiah 10:6I will send him against an hypocritical nation, and against the people of my wrath will I give him a charge, to take the spoil, and to take the prey, and to tread them down like the mire of the streets. The hypocritical nation described in the passage above is Israel. At that time Israel will be again practicing temple sacrifice but their hearts will be far from God. Their leaders will oppress the poor. Isaiah 10:7 Howbeit he meaneth not so, neither doth his heart think so; but it is in his heart to destroy and cut off nations not a few. 8 For he saith, Are not my princes altogether kings? 9 Is not Calno as Carchemish? is not Hamath as Arpad? is not Samaria as Damascus? 10 As my hand hath found the kingdoms of the idols, and whose graven images did excel them of Jerusalem and of Samaria; 11 Shall I not, as I have done unto Samaria and her idols, so do to Jerusalem and her idols? Assyrian King Sennacherib is speaking here. So is the future invader of Israel. He is recalling previous victories over Syria and northern Israel. The city of Calno is near Aleppo, Syria’s largest city. Carchemish is on the northeastern Syrian border. Hamath is between Aleppo and Damascus. Arpad is just north of Aleppo. As you know Damascus is the capital city of Syria and is located near Syria’s southern border near Israel. Samaria is in the northern half of Israel. All of these cities still exist today. All of these cities were conquered by the Assyrian King Tiglath-pileser in 734 BC. All of these cities will be conquered by the Assyrian that is still to come. So if Turkish Prime Minister Erdogan leads an invasion into Syria, destroys Damascus, and then invades Israel we are half way to Armageddon. 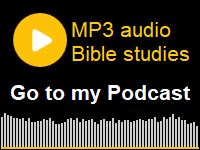 Perhaps then you can get your pastor to read this commentary! Please notice in verse 11 that this invader has yet to conquer Jerusalem. But he is boasting that he is about to overthrow Jerusalem. Isaiah 10:12 Wherefore it shall come to pass, that when the Lord hath performed his whole work upon mount Zion and on Jerusalem, I will punish the fruit of the stout heart of the king of Assyria, and the glory of his high looks. God will complete his judgment of Israel. God allowed Assyrian King Sennacherib to get just outside of Jerusalem but didn’t allow Sennacherib to destroy the city (Isa 37:36). In the future, the same scenario will take place. Just as it looks like all is lost for the last remaining Jews in Jerusalem Jesus Christ himself will return with great vengeance on Israel’s enemies! In the end God will punish the invader of Israel. 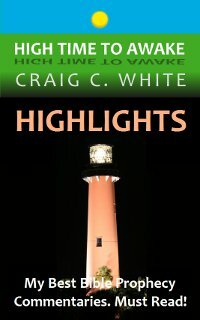 Please read my eBook “Israel’s Beacon of Hope”. Isaiah 10:13 For he saith, By the strength of my hand I have done it, and by my wisdom; for I am prudent: and I have removed the bounds of the people, and have robbed their treasures, and I have put down the inhabitants like a valiant man: 14 And my hand hath found as a nest the riches of the people: and as one gathereth eggs that are left, have I gathered all the earth; and there was none that moved the wing, or opened the mouth, or peeped. The Assyrian will say that he has conquered Israel by his own hand. 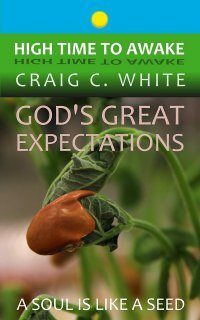 God will remind him that he was successful only as an instrument in God’s hand. Isaiah 10:15 Shall the axe boast itself against him that heweth therewith? or shall the saw magnify itself against him that shaketh it? as if the rod should shake itself against them that lift it up, or as if the staff should lift up itself, as if it were no wood. Shall a man say that he is greater than God? God uses men to do as he wishes. Isaiah 10:16 Therefore shall the Lord, the Lord of hosts, send among his fat ones leanness; and under his glory he shall kindle a burning like the burning of a fire. 17 And the light of Israel shall be for a fire, and his Holy One for a flame: and it shall burn and devour his thorns and his briers in one day; 18 And shall consume the glory of his forest, and of his fruitful field, both soul and body: and they shall be as when a standardbearer fainteth. 19 And the rest of the trees of his forest shall be few, that a child may write them. In the verses above, Jesus Christ will destroy the kingdom of the Assyrian (aka the Antichrist) at his second coming. The fire of Israel is Jesus Christ’s everlasting rule on earth. Christ’s earthly kingdom centered in Jerusalem will consume the final gentile world empire like a fire. Earthly kingdoms will now all come under the authority of God. Isaiah 10:20 And it shall come to pass in that day, that the remnant of Israel, and such as are escaped of the house of Jacob, shall no more again stay upon him that smote them; but shall stay upon the LORD, the Holy One of Israel, in truth. At last the Jews will be free from world oppression and persecution and will finally be faithful to their God! Isaiah 10:21 The remnant shall return, even the remnant of Jacob, unto the mighty God. 22 For though thy people Israel be as the sand of the sea, yet a remnant of them shall return: the consumption decreed shall overflow with righteousness. The Jews will return to Israel. During the Tribulation period many Jews will take refuge in Jordan and many others will also be taken captive into different countries. After Jesus destroys the Assyrian at his coming the surviving Jews will return to Israel along with all faithful Old Testament Jews (including Isaiah) who will be resurrected from the dead at that time (Dan 12:13)! 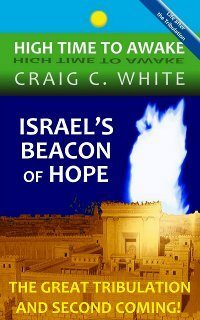 Please read “Aliyah Israel Arise Return” in my eBook “Israel’s Beacon of Hope”. God has determined to apply a certain amount of judgment upon Israel (Dan 9:24). It will one day be completed and then replaced with righteousness and justice. God’s predetermined judgment is called the consumption here in Isaiah. 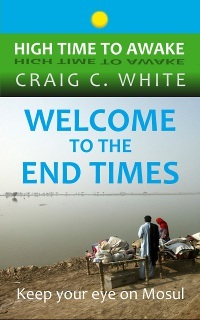 The Tribulation period is not only designated for Israel’s judgment. But there is a terrible time of God’s judgment coming upon the entire world as well! Isa 28:22 Now therefore be ye not mockers, lest your bands be made strong: for I have heard from the Lord GOD of hosts a consumption, even determined upon the whole earth. Isaiah 10:23 For the Lord GOD of hosts shall make a consumption, even determined, in the midst of all the land. 24 Therefore thus saith the Lord GOD of hosts, O my people that dwellest in Zion, be not afraid of the Assyrian: he shall smite thee with a rod, and shall lift up his staff against thee, after the manner of Egypt. 25 For yet a very little while, and the indignation shall cease, and mine anger in their destruction. 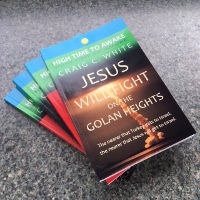 God will allow Israel’s time of trouble to last only for a short time. Isaiah 10:26 And the LORD of hosts shall stir up a scourge for him according to the slaughter of Midian at the rock of Oreb: and as his rod was upon the sea, so shall he lift it up after the manner of Egypt. 27 And it shall come to pass in that day, that his burden shall be taken away from off thy shoulder, and his yoke from off thy neck, and the yoke shall be destroyed because of the anointing. Just as God delivered the Jews from the Egyptians during the Exodus, God will deliver Israel from the Assyrian. Isaiah 10:28 He is come to Aiath, he is passed to Migron; at Michmash he hath laid up his carriages: 29 They are gone over the passage: they have taken up their lodging at Geba; Ramah is afraid; Gibeah of Saul is fled. 30 Lift up thy voice, O daughter of Gallim: cause it to be heard unto Laish, O poor Anathoth. 31 Madmenah is removed; the inhabitants of Gebim gather themselves to flee. The passage above maps out the route that the Assyrian will take on his way to attack Jerusalem. All of these towns are north of Jerusalem. The Assyrian is approaching Jerusalem from the north. He is moving closer and closer town by town. Assyrian King Sennacherib took this route on his way to destroy Jerusalem in 701 BC. In the future invasion of Israel the Antichrist may very well take this same route. Isaiah 10:32 As yet shall he remain at Nob that day: he shall shake his hand against the mount of the daughter of Zion, the hill of Jerusalem. Nob is north of the Mount of Olives just outside the city limits of Jerusalem. Assyrian King Sennacherib camped out there with his armies the night before he was to attack Jerusalem. Overnight, God wiped out his army while they slept (Isaiah 37:36). I suspect that a very similar scenario will occur when Jesus returns to defend Israel. Psa 30:5 For his anger endureth but a moment; in his favour is life: weeping may endure for a night, but joy cometh in the morning. Isaiah 10:33 Behold, the Lord, the LORD of hosts, shall lop the bough with terror: and the high ones of stature shall be hewn down, and the haughty shall be humbled. 34 And he shall cut down the thickets of the forest with iron, and Lebanon shall fall by a mighty one. In Bible prophecy a tree with over spreading boughs is often used to describe a large kingdom or empire. Lebanon was known for its large cedar trees. So the actual country of Lebanon isn’t pictured here, but instead the final gentile world empire that will exist during the time of the Tribulation period. 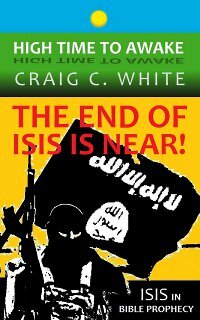 Jesus will return and cut down the final gentile world empire! That is the end of Isaiah chapter 10 but please notice the first verse of Isaiah chapter 11 below. A rod is the scepter of a ruling king. Jesse was King David’s father. A branch is a descendant. So a descendant of King David will rule on earth. Isaiah is proclaiming that after the time of Israel’s trouble Jesus Christ will come to earth to rule forever. So the Assyrian is the Antichrist. The ruler of Turkey will invade Syria and then Israel just like the Assyrian of old did. Therefore an end time ruler of Turkey is the Antichrist! The Turkish army is amassed along the Syrian border today. If Turkey attacks Syria it may then turn south to invade Israel. If these things happen then we are all half way to Armageddon. It is High Time to Awake! hi just found your site last night, very powerfull. the lord has giving you a major gift to understand the scriptures. Hi Robert: I think you are right. I hope that the destruction of Damascus and subsequent Turkish led invasion into Israel doesn’t catch the Church unawares. I was reading in Luke 13 today where Jesus called Herod “that fox”. I remembered researching this years ago, and made the connections to his father Herod the Great and the Edomites. 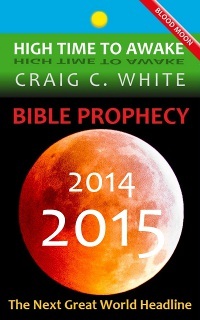 Some commentaries seem to indicate that the prophecies concerning the Edomites have all been fulfilled. I started thinking about how the antichrist will be like a fox; cunning and deceitful. I also have discovered that the Edomites can be traced back through Esau, and to the geographical region of modern day Turkey. This may be a stretch, but perhaps Jesus was giving us a preview of the deceitfulness of the antichrist. Esau settled in Edom in southern Jordan. Now, Assyria is a CHRISTIAN nation! It’s oppressed by Islam! Since Russia is in Syria as we speak and taking the side of Assad and fired missiles into Syria to kill the rebels fighting Assad and some went astray and went into Iran,how does Russia play into this picture.Also Russian planes have entered Turkish air space.Do you think Russia is going to be destroyed by Nato which Turkey is a member of along with the rest of Nato members including America.I believe Israel now finding a lot of oil in their territory is going to play into this some how maybe by turning more hate by Arab countries towards Israel. I think that Russia will make a deal to maintain access to Syria’s ports and will leave Syria. Assyrian is a chrisian nation. How could they be antichrist!!!!!!!!!!!!!!!! Hi Odisho. 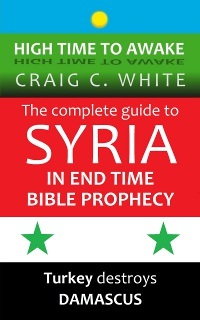 The Bible indicates that the Antichrist will invade Syria and Israel just like the ancient Assyrian kings did. Nao ha livros em portugues ? My books are only available in English. 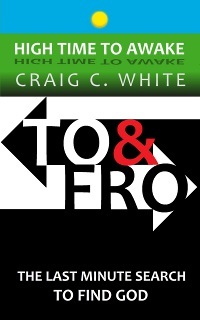 You may be able to translate the kindle versions. When was this post written? I’m amazed, isn’t Turkey invading Syria now? It excited me that the end times are near and Jesus is coming back to save us. Does anyone have an idea how much longer we have to wait? I have been telling people about Turkey invading Syria for about five years. Also every nation that is mentioned in the Ezekiel chapter 38 Turkish led invasion into Israel are today fighting in Syria. Most of these nations have been there since 2011. I have also been telling people that Turkish President Erdogan is the Antichrist for about five years. He will invade northwestern Syria at Hamah and Tell-Rifaat (called Arpad in Jeremiah 49:23). By the way the Turkish Army is now fighting in Al-Bab only 30 miles away from Tell-Rifaat. 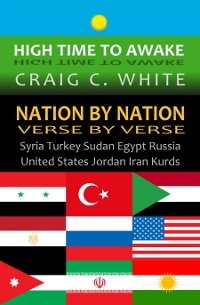 Turkey will then destroy Damascus and I think then lead Iran, Libya, and Sudan into Israel (Eze 38:5). Iran, Libya, and Sudan are fighting in the Golan Heights of Syria right now! 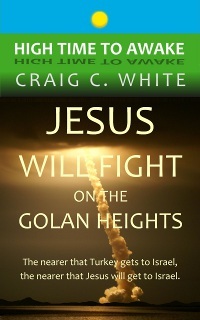 They have already begun shelling the Golan Heights of Israel. 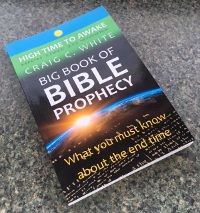 We are instructed to look to the Old Testament Prophets and to the scriptures in order to determine how close the Tribulation and therefore the Rapture is. 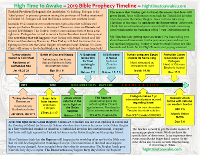 I think that three major events happen before the Tribulation. They are the destruction of Damascus. 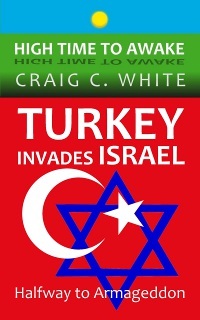 The Turkish led invasion probably into the Golan Heights of Israel. And a following seven year peace treaty. The Rapture could happen beforehand. 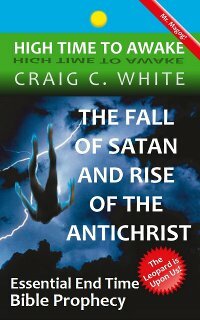 During these events Christians may witness the fall of Satan from heaven and the revealing of the Antichrist with signs and false wonders. I think that Turkey President Erdogan is the Antichrist. To me this chapter is referring to the Lord ie the Mighty One who is Jesus himself coming to unite and liberate the tribes of Israel and defeat the tall haughty trees including the Assyrian Antichrist. Therefore the He in Isaiah 28 is Jesus returning then comes to Nob to pause just before he comes to shake the Mount of Olives by standing on it with his feet renting it into 2 with a wide valley and up springs the river out of the great Dead Sea rift valley possibly Gihon or Edenic spring again. The He who is The Lord continues on His wrath path verses 33-34 cutting down the Antichrist as you have quite rightly said. Isaiah 10:28-32 is not referring to the Assyrian but to Jesus ie the Rod of Jesse as you have said of Isaiah 11:1. You can probably tell I like doing jigsaw puzzles and fitting things together. 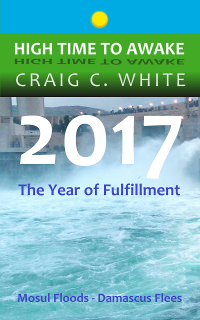 You have done all the hard work by this blog on Isaiah 10 and your revelation wrath path blog. I’m just joining them together as it seemed plain as day as I read from Isaiah 10 in my bible reading this morning. Isaiah 10:28-32 is describing Assyrian king Sennacherib as he advanced on Jerusalem from the north. Each of these towns are in Israel. They are listed from north to south. Notice that the Jews are fleeing as Sennacherib passes through. Isa 10:28-32 He is come to Aiath, he is passed to Migron; at Michmash he hath laid up his carriages: 29 They are gone over the passage: they have taken up their lodging at Geba; Ramah is afraid; Gibeah of Saul is fled. 30 Lift up thy voice, O daughter of Gallim: cause it to be heard unto Laish, O poor Anathoth. 31 Madmenah is removed; the inhabitants of Gebim gather themselves to flee. 32 As yet shall he remain at Nob that day: he shall shake his hand against the mount of the daughter of Zion, the hill of Jerusalem. In 701 BC Sennacherib’s Army reached Nob and God killed them in their sleep. That is what Isaiah 10:33-34 describes. 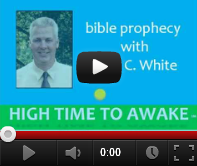 Do you think the rapture will occur before the tribulation?? I have watched a number of you tube presentations by Amir Tsarfati ( Behold Israel ) he says that for the Antichrist to do a deal with Israel which he will break after three and a half years when he enters the Temple and demands worship as God, it is impossible for Erdogan to be the the Antichrist. His reason is….the Jews will never accept a Muslim as the Messiah. This seems logical to me. Do you think that the Jews will be forced into signing the seven year treaty with the Antichrist? I hope that I have got my facts correct and am not mis quoting Mr Tsarfati. Would you expand on this please. Amir is making an assumption. The Bible does not say that the Jews will receive the Antichrist as the Messiah. Amir also says that Jerusalem will certainly not be attacked. Well the Bible says that Jerusalem will be attacked and overrun. Zechariah 14:1-3 Behold, the day of the LORD cometh, and thy spoil shall be divided in the midst of thee. 2 For I will gather all nations against Jerusalem to battle; and the city shall be taken, and the houses rifled, and the women ravished; and half of the city shall go forth into captivity, and the residue of the people shall not be cut off from the city. 3 Then shall the LORD go forth, and fight against those nations, as when he fought in the day of battle. Half the city of Jerusalem. Probably east Jerusalem since that is the part being fought over today. When Anitochous Epiphanies invaded Jerusalem in 170 BC he instructed his army to go door to door taking every other Jew prisoner. Just stumbled over this web site. Interesting reading this, did you know there is a Lamassu in Trafalgar square? The Assyrians were the enemy of Israel and the Lamassu is a stone carved mythical Assyrian creature supposed to guard Assyrian cities. 2 days away from Good Friday. Just saying.